As Tally looks forward to her sixteenth birthday only weeks away, she meets Shay -- an adventurous, free-thinking and intelligent girl her same age who is not quite excited about becoming a "Pretty"; in fact, Shay knows the real motive behind why doctors are turning people into Pretties, and it's unbelievably inhumane and horrific. When Shay runs away to escape the world of Pretties, Tally is enlisted by the government to track her down under the threat of never becoming a Pretty herself unless she brings Shay back. Tally must then decide if she wants to deceive her best friend to become a Pretty or risk staying an Ugly forever. Uglies is original and appalling enough to keep you hooked until the end. Westerfeld's vision of the future will please conspiracy theorists while the underlying message regarding beauty outside and inside is always gratifying, especially as both are affected in this novel. Shay's character outshines our main protagonist Tally both in spirit and morals; whereas Tally is less engaging and satisfying to read about. Westerfeld tells us rather than shows us Tally's apparent character development, which affected my overall empathy for Tally; however I read on because the story itself is amazing. The chemistry between Tally and Shay's "Ugly" friend David is also lackluster but again, adds spice to the ongoing plot development. The next books in Westerfeld's "Uglies" saga are Pretties (2005), Specials (2006), and Extras (2007). 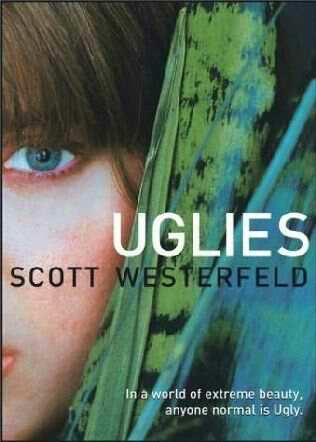 Have you read this series -- if so, what are your thoughts on the Uglies books?